Photo challenge: The sign says! It says: “The most beautiful part of women’s body is the brain”. 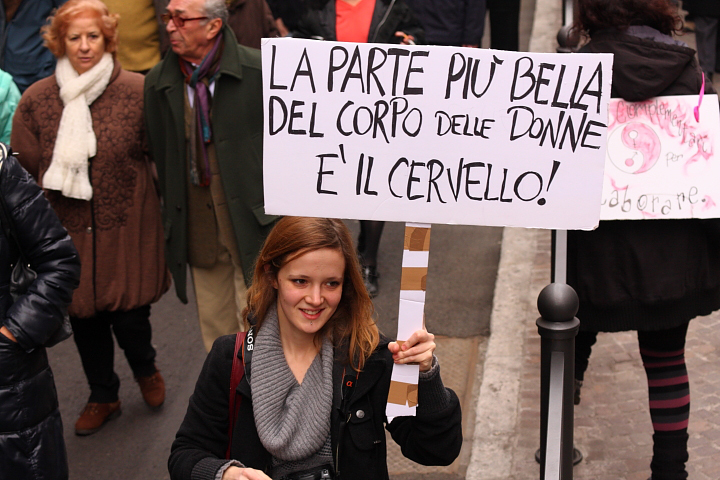 From “Se non ora quando” women’s protests. Very cool, I love it – thank you! !